There is nothing cooler than having a map fully powered by data. 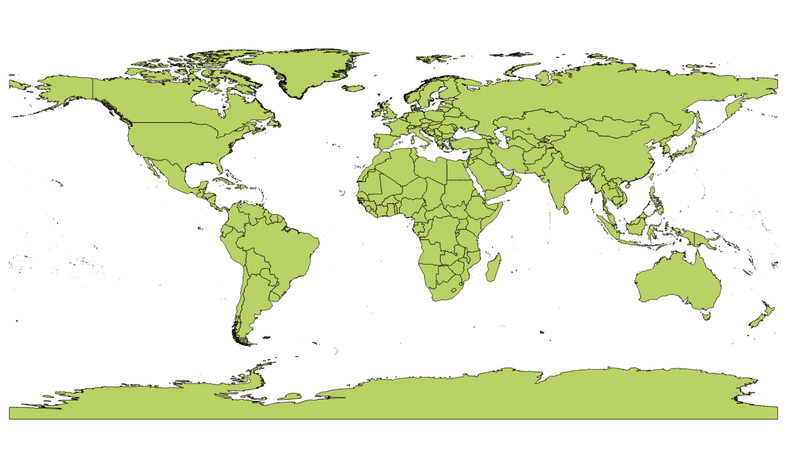 D3.js does a great job at this by accepting geoJSON data and converting that into SVG. The thing is how the hell do we acquire a map that is not the one of the USA (which is the most typical example). There are many tools out there that do svg maps and they are quite good at it, but this tutorial is going to focus on D3.js, .shp files and geoJSON. 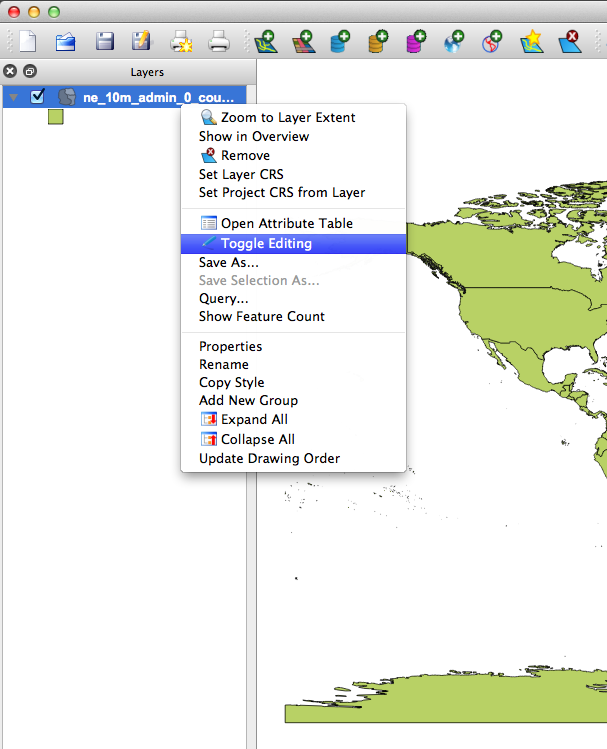 Two of my favorite resources to obtain maps are Natural Earth Data and Diva. From what I’ve seen Natural Earth Data does a good job for country layouts (just the outer border) and Diva for details within a country (regions, lakes, rivers, train tracks etc). For this example we are going to use Natural Earth Data because it already provides us with a map of the world. 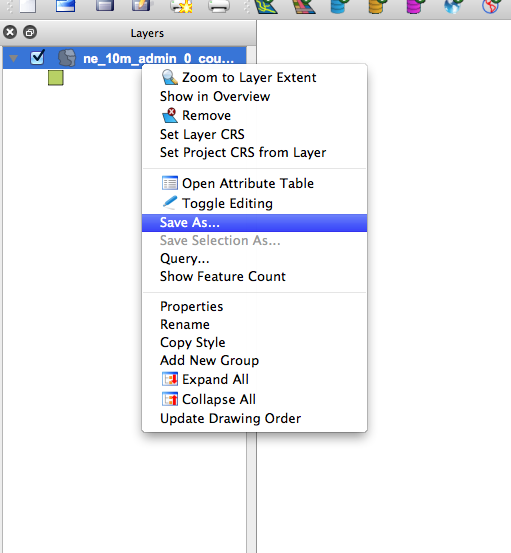 If you are unable to see the layers panel bar you can show it by clicking on View > Panels >Layers. That should enable the panel. Click on Madagascar and move it away from the rest of the world. Say some where up North near Greenland or something. 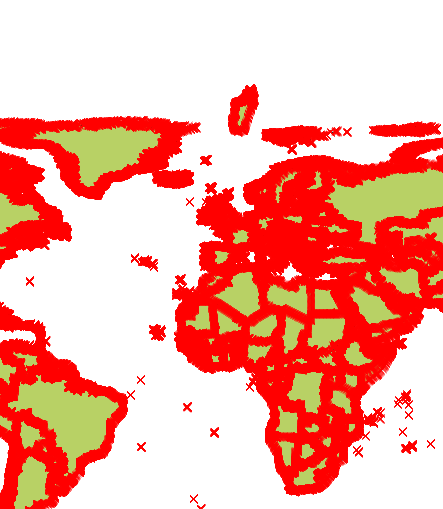 This is just to create enough space in order to remove the rest of the world’s vectors from our map. Next we will remove the rest of the world by selecting the “Select Features by Rectangle” option . If you have a small screen like I do right now it might be hidden behind the “Identify Features” icon . Select the chevron and that will show you the “Select Features by Rectangle” option. 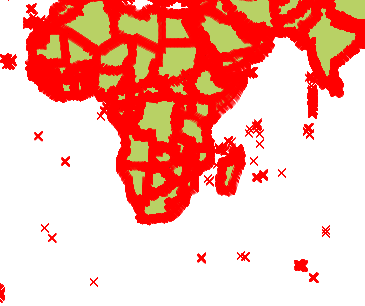 With the “Select Features by Rectangle” option selected we proceed to select the rest of the world by clicking, dragging and surrounding the world EXCLUDING MADAGASCAR. Your world aside from Madagascar should have turned into some kind of highlighted color (varies every time). Click the Delete option and remove all of the vertices that are selected. Use the “Pan Map” option to center Madagascar right in the middle. 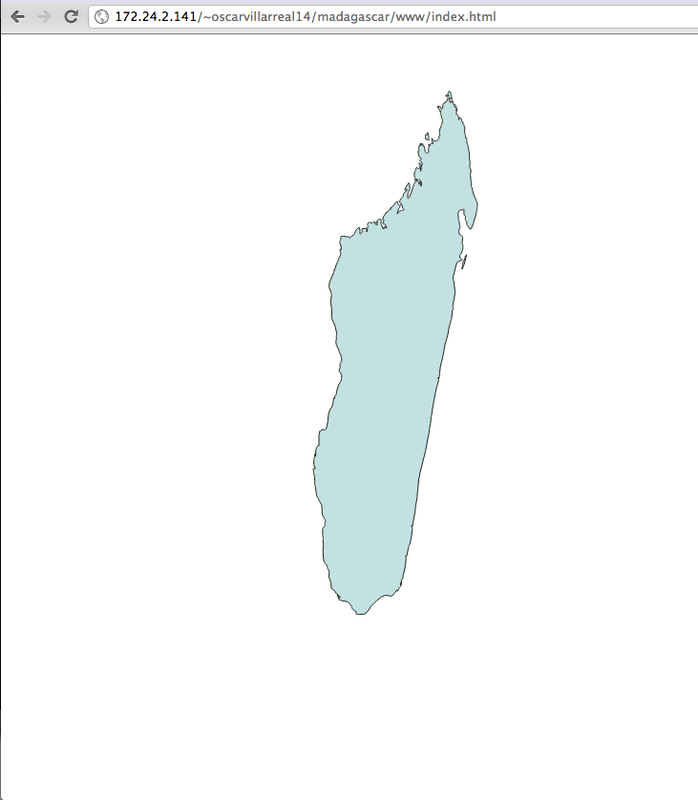 Next zoom in by scrolling up/down in order to see better our final Madagascar.shp file. And voila! 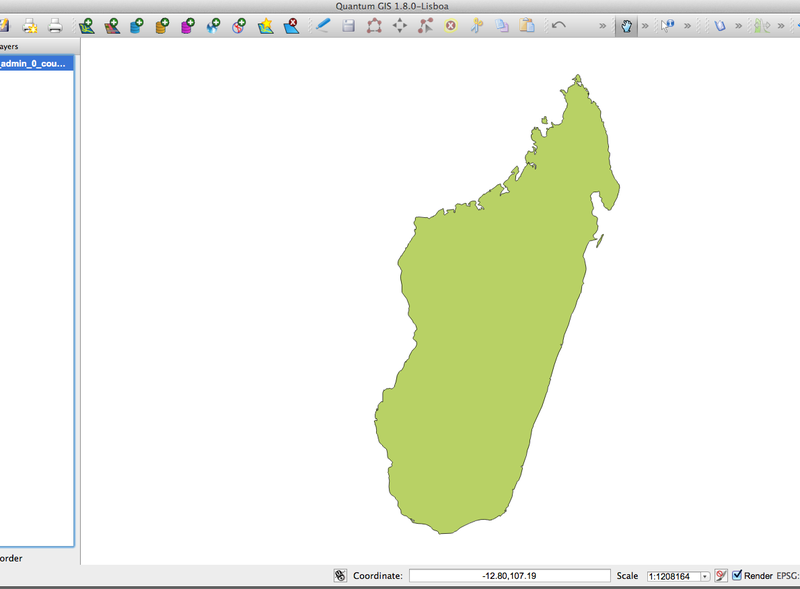 we now have Madagascar in geoJSON format. 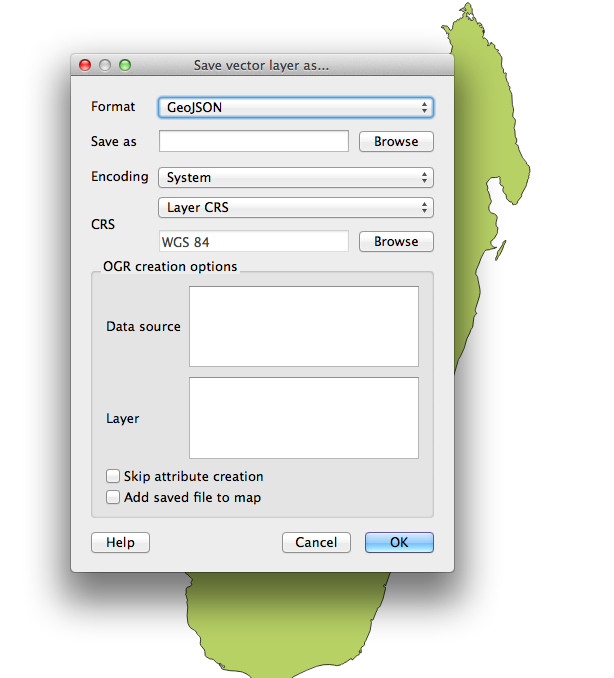 Next we will use the power of d3.js to convert our geoJSON data into an SVG map. If you don’t have d3.js head over to its site and download the minified or full versions. We are going to need also jquery in order to do some DOM manipulation; so add that into the equation as well. Lately I’ve been doing a lot of coffee script and thanks to my good friends Alex and Thomas I am now an auto proclaimed coffee script evangelist, which is why our d3 code will be written in coffee script. Both Alex and Thomas have some really good posts on maps and d3. Make sure to check out this post from Thomas Positioning and Scaling maps in d3 and this one from Alex Interactive Maps with d3 and ember. You will find a lot of valuable cool stuff in them! That’s all for this post and if you have any cool idea of how the projection, translation and scaling exactly works or if there is an algorithm to it, so that we can know what values to put in there instantly please drop a comment and let me know and I will gladly add it in your name! Good luck with your hacks!